Legalizing vice can bring unexpected boons -- for instance, 24-hour drinking gave the new government something to talk about besides the very recession that makes everyone want to drink 24 hours. 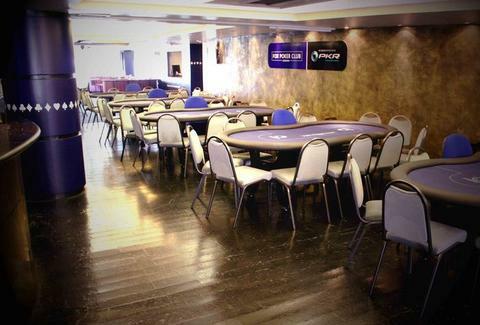 Unexpectedly bringing you London's first-ever legal poker club, Fox Poker, opening tomorrow. After purchasing one of the costly casino licenses first made legal in 2005, Fox bravely decided to eschew other more profitable games and focus only on cards; inspired by the unrepentant gambling of 18th century politician Charles Fox, the spacious, low-lit parlour boasts 20 tables with views overlooking Chinatown, plus a memorabilia-stocked library, whose science wing might reveal just how those dogs played without opposable thumbs. The membership system's three-tiered: register free with "Aces High", snap up the annual-paid "Full House" (offers discounts, priority table booking, paid tourney entry, travel chip set), or nab the "Royal Flush", including a VIP concierge (provides on-call info, bookings, practical task completion, etc), plus a 24-hour personal account manager who'll hold or distribute winnings at your leisure (if you have no winnings, perhaps you'd feel more comfortable with the "Aces High"?). High & low stakes tournaments happen twice daily, while in-between there's a constant stream of cash games available, with minimum buy-ins ranging from £25-500, and play dominated by Texas Hold 'Em and Omaha -- like Hold 'Em, except your two dealt cards must be played, even if they're as useless as knowing what the hell an Omaha is. Further comforts include bar service and a full kitchen (currently taking menu-item requests via Facebook), as well as wandering masseuses who'll work on you at your table, a very public treatment that hopefully won't lead to an unexpected boon-er.